The old method of hypnosis involved a hypnotist reading the client a script full of suggestions for the client. The script was often customized for the client, but the hypnosis sessions was usually one-way - the hypnotist was doing almost all of the talking. And while not a bad way to help clients, it's not the most effective. The improved way to help clients is to use advanced techniques, like Age Regression, Forgiveness Techniques, and Parts Mediation Techniques, then customize hypnotic suggestions in real-time based on input from your client. The #1 most important thing to keep in mind at all times when working with clients is to be fully present. Our clients tell us exactly what they want, you just have to listen very carefully. Give clients what they want first. Then give them what they need. What does that mean? It means a client may come in wanting to lose weight. 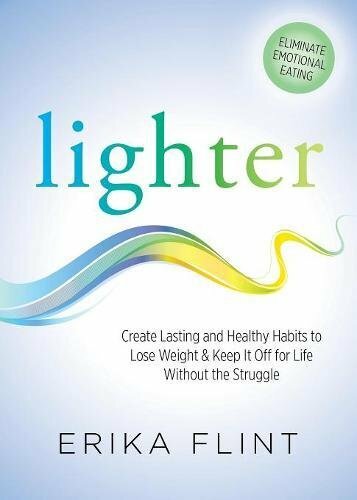 Help her to lose a little weight. In doing so, she feels better. Then give her what she really needs which is self-love to keep it off and live a fulfilling and enjoyable life. Step 1: Listen carefully to what your client tells you they want. Write it down. Step 2: Go into a hypnotic state yourself first - it's important to always go into state first. This helps you to be fully present and focused, and model the behavior you want to see in your client. Step 3: Repeat back to your client what they told you they want. Repetition is the mother of all learning. Our brains absolutely love it. Your clients will think you're a genius when you repeat back to them their own words. They'll say "that was the most beautiful thing I've heard", or "wow that really resonated with me". Click to watch the video below and get all the details on this custom technique! Hypnosis Training Video #458: How to be the C.E.O. of Y-O-U for BIG Client Success! Professional Hypnotherapy Success is all about getting great results for our clients. And how are these results measured? Make sure you have a clear action plan for your clients, or they may not realize their own success. It's common for clients to come to hypnotherapy with a plan for being rid of a negative state or emotion - and without an end-goal in mind. In this case, the first step is to help clients imagine a positive end-state to achieve a desired outcome. For example, a client may come with a presenting issue of "I don't want to be so anxious", and a professional hypnotist will understand that "not being anxious" is too vague for the subconscious mind to create a valid outcome. Imagine it now in your own mind - what is "not being anxious" like for you? For me, "not being anxious" is peaceful and calm. It's quiet. It's soothing. More specifically, not being anxious would be peacefully sitting in nature enjoying the scenery, and it can also be enjoying a book in front of a warm fire. Helping clients to imagine what "not being anxious" is like for them, will help the subconscious mind begin to generate potential outcomes and experiences that can be useful in the hypnosis session. Don't assume "not being anxious" merely means being peaceful - it is important to have your client describe to you exactly what it means to them. You can do this by asking, "if you weren't so anxious, how would you feel?" and help them imagine a desired outcome. Now that you have a wanted state for your client, you are able to help them enter into a hypnotic state using an instant or rapid induction. From there, deepen your client. Next, you'll likely do some deep, insight work with them like Age Regression, Forgiveness Therapy, or Parts Mediation Work. And then you'll incorporate the wanted state using Future Progression, where you'll have your client imagine actually experiencing being in their body in a future state having already achieved their result. From this wanted state, as imagined in an appropriately deep state of hypnosis called somnambulism, it's time to help your client imagine their Executive Action Plan! Ask them what is it they need to do to get to this state from where they are in their life now? Ask what is the quickest route from their current state, to this desired state? What are the steps? What are the obstacles? What is the next smallest step? Using this style of questioning while your client is in a deep somnambulistic state will allow your client's subconscious mind to make connections and references that have up to this point been largely overlooked! This is a huge asset to you and your client. By asking the right questions, in the right desired state, you can help your client make months and maybe even years or decades of progress in a few minutes. This is the power of high-level, professional hypnosis and the power of the subconscious mind! For details on executing this technique, continue below. Would you like to change lives with hypnosis? Hypnosis Training Video #450: "Heal Thyself, Hypnotist" For Greater Client Success! Do you want to be a world-class hypnotist and help people achieve lasting relief and success? Being flexible in your approach as a hypnotist is a sign of a true professional. I always have a plan for my clients, and then when they arrive, the plan may change. 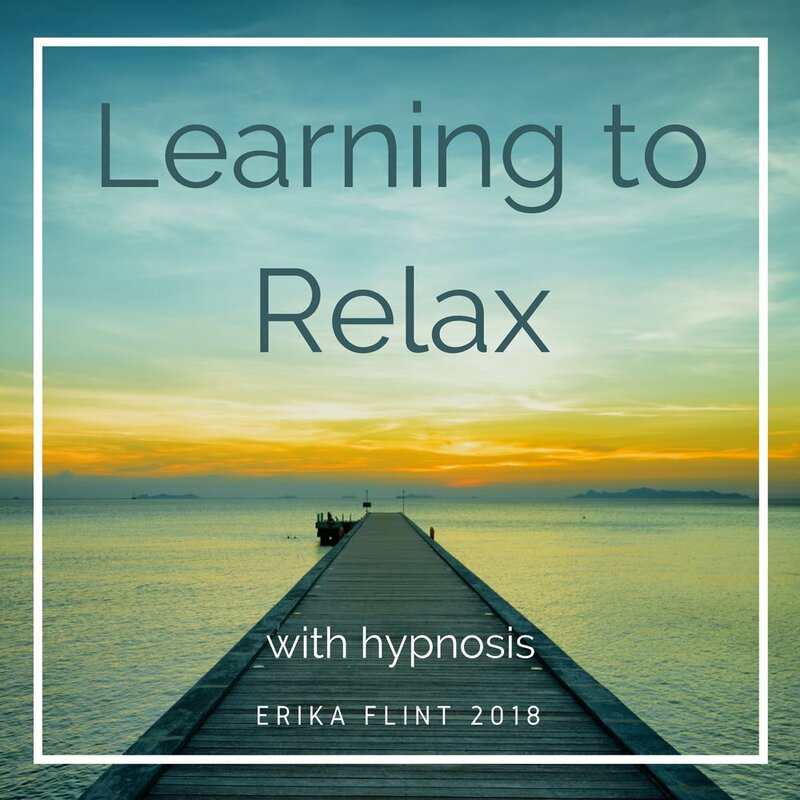 This is the power of using a systematic approach to hypnosis because it allows you the confidence of knowing what to do with every single client and the flexibility of modifying it on the fly with them. For example, I may plan on helping a client release limiting feelings of anger toward a parent or or x-partner, yet when she arrives, she may report that she's nervous again about something that transpired in the previous week, and ended up eating too much Thursday night. Based on that new information, I would likely decide to do a Date-Time Age Regression with the client to resolve the over eating incident that occurred that week. That would be a more powerful technique than continuing on with what I had previously planned. Why? Because it just happened to her days prior - so the experience is fresh in her mind, it's like your client is handing you a gift! We always want to take what our clients are offering us, then utilize that information and experience to their advantage. Later in the session, we may then move to the work I already had planned, which by the way would also help her not over-eat as she was turning to food to resolve anxiety regarding her recent divorce. Age progression is a part of Age Regression, exception that you have your clients imagine (pre-vivify) their future as-if they've already achieved all the results! This technique alone can change the world when done well. It's really all you need to help your clients, if they can do it properly - and most coming to see us have a hard time because there are other limiting emotions keeping them from fully experiencing their full, powerful self. And that's why we have other techniques to eliminate years of emotional baggage - like Age Regression (fear), Forgiveness Therapies (anger, guilt, and unfairness). When we have our clients capture the energy of their End-State it is what will help transform them into becoming the person they need to be in order for them to make the change they want to make. This may sound backwards if you're not familiar with this approach. The idea is you have to become the person who has already achieved the result, in order to achieve the result. For example with my weight loss clients, they need to imagine being a version of themselves that is already at a healthy weight in order to lose the weight. I have them first imagine that they've already lost all the weight. They pre-vivify what it feels like, looks like, sounds like, smells like, and feels like, and from that place, now they imagine having a stressful day. What does that future version of themselves do when stressed? They don't stress eat, or emotionally eat! They go on a walk, call a friend, listen to music, go on a drive, etc. Given that new information, the client becomes their future self now - and behaves as-if they've lost the weight, and the weight loss becomes easy. So, even before losing all the weight, they walk when stressed, and it's easy for them since you captured, and anchor the end-state energy. Part of both of the above, is the concept of Incremental success. Most things in life are incremental. Mother nature is incremental. Plant growth is incremental, for example - even if we believe the seed pokes through the ground all at once, the seed has actually been growing underground for quite some time. The point is to help our clients notice the small changes, which leads to momentum, then leads to self-sustaining change. The incremental approach is important to help clients understand that they are changing. This builds confidence and helps client focus on what they are doing right. When the brain feels successful, it alleviates stress and offers an opportunity for massive expansion and personal growth. One of the principles of the mind is that whatever we focus on grows. So, when clients focus on success - even small success - they FEEL better and are more likely to keep their changes. This means faster and better results for clients, and business growth for you. Click to watch the Free Hypnosis Training video below to learn more about these techniques and help clients get results faster! The meta-message of this episode is that our clients feel successful when they notice change. Help them notice what is changing - from the small aspects to the large in their life. Taking clients to a future event and having them capture the essence, the energy, from that future state (called "End State") is really powerful - it will pull them forward into the future where they DO notice the transformation taking place which motivates them to stay on track! I want to hear from you! How do you notice big and small changes in your life? Do you purposefully look for them, or wait until something big comes along? How To Effectively Deal With Gratitude In The Hypnosis Office To Amplify Your Clients Success, And Your Referral Rate! It's always great to be working with our clients on a second or third session and have them remark how well things are working, and how much they have changed. And it's also common for our clients to try and give us all the credit. I've heard hundreds of times 'Thank you Erika, you changed my life', or 'Thank you Erika, you saved my life'. And I appreciate that they are changing and getting the results they came in for (and usually a lot more). Yet if I left it at that, it would be a disservice to my clients. Because, when our clients have the perception that something has changed, we want to give them the credit for the change. Why do we want to give our clients credit for their own change? Mostly, because it's true! Excellent hypnosis can not force any of our clients to change. They truly are making the change themselves, but even more importantly, when your client perceives the change, feels differently, then tries to give you the credit, you have a very powerful opportunity to help facilitate even more effective and rapid transformation. What we want to do instead, is give our clients the credit for the work they've done, then use some powerful linguistic future pacing to open their mind for even broader transformation. First, listen to what they have shared. Be gracious and sincere about their sentiment. For many of our clients, they have finally made progress in an area that they had not (perceivably) made any progress in in years - maybe decades of their life. The only logical conclusion for many of our clients, is that it must have been something that you - they hypnotist, or the hypnosis has done which is outside of themselves. And we want to flip this so our clients know that the change they made is NOT outside of them - that they did it. This can be accomplished by simply saying 'Oh, thank you. I am so happy that you're feeling better. Tell me more about it." By asking your client to tell you more about the positive change, it keeps them and their brain in that state of mind and the longer they are in that state of mind, the stronger the neurons supporting this positive shift become. Continue with, "I want you to know that I think this is really spectacular. This is what I hoped and expected to have happen, and I can't take the credit - YOU did that! I just helped facilitate the change. So great job!" After you say this to your client, pause. Let them reflect. Fill in any details to support what you've shared so they really believe that they were the ones making the change. You set it up, they knocked it out of the park so to speak. A final add-on element to add to your clients success is to further help them understand that they made the change, and do a bit of linguistic future-pacing by asking your client "Wow, now that you've done this (now that you remain calm around your X), I wonder what else you can do? " "Now that you're sleeping better at night, I wonder what else you can do ?" "Now that you can be around your X and remain clear headed, I wonder what else you can do?" 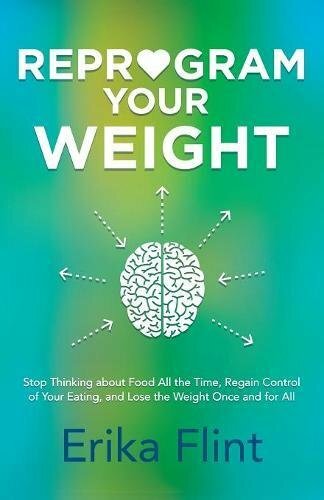 "Now that you're losing weight every week and are in control of food, I wonder what else you can do?" Use this change as a powerful catalyst and momentum for additional change. We want to give our clients more than what they came in for. Click below to watch the video for full details on how to deal with gratitude in the hypnosis office to offer our clients even greater success! The meta message of this episode, is that while it's nice to know that the work we do is effective, it's much more powerful to transform our clients by shifting the "win" back on them! Help them to notice how they made those changes. This allows our clients to experience a sense of control over their own life and livelihood. Do hypnosis clients have free-will or are they under the hypnotists' control? Our clients absolutely have free will, and we WANT them to have free will. The most powerful hypnosis changes take place because the clients REALIZES their own solution - that always comes as a result of having free will and feeling safe in order to process past experiences - usually hurtful ones that are full of erroneous beliefs and misperceptions. Some of our clients may wish we had control and could simply just "make" them stop smoking, or stop eating that food, but that type of change would not be organic, nor beneficial to the client. This type of change often happens when a client feels forced to do something and they don't want to. And it doesn't last. Watch the video below to learn the powerful way to help clients achieve lasting results WITH freewill and the power of the subcosncious mind faciliated through hypnosis.